Great customer support is essential to staying competitive, no matter what industry you’re in. Your company can have the best products, and lead the way in innovative business practices, but offering strong customer support is still a must. Let’s get one thing straight up front: Today’s customers are large and in charge. We live in a consumer-centric time, where customers have the power to instantly rate, review, and rave about your offerings. Between social media, e-commerce, and review sites, customers can talk to and about you anytime and anywhere, and there’s always somebody listening. Companies have to be ready to field support requests and other customer queries whenever and wherever they arise. This is where the help desk comes in. It’s a desk where I get help. Right? 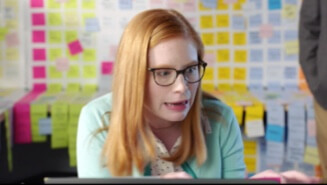 Help desks aren’t actually desks. Sometimes help desk means the people who work at the help desk, but sometimes it means the software those people use. And it only refers to helping people with technical problems. At least in our context. Confused yet? Totally understandable. So let’s break this down. Generally, help desk is used to refer to how companies help their users with any technology-related issues. Help desks can support customers in their use of a company’s apps, tech-driven products, and web sites. Internal-facing help desks support employees using technology as part of their jobs. Help desk can refer to both the team within an organization that’s responsible for supporting users and the software that powers their support work. Depending on the size of the organization, your help desk could be one person with some software and a phone, or a small army of technicians, service agents, and software developers. One of the great things about modern help desk software is that helps small businesses, in particular, is that it enables as few as just one person behind the virtual desk to provide a small army’s worth of customer support. Help yourself to a shiny new help desk. Is it help desk or helpdesk? Your guess is as good as ours! Search the web and you’ll find it spelled both ways. That said, most often you’ll see “help desk” (two words), and not “helpdesk” (one word). So we’ll go with that: help desk. No matter how you spell it, your help desk awaits. Is a help desk a real desk or a virtual desk? A. A brick-and-mortar location staffed by support experts who help customers with their issues. B. A virtual space dedicated to solving customer support issues. C. Either A or B, depending on your business need. While the name help desk may conjure up images of a brick-and-mortar location staffed by people, a la Apple’s famous in-store “Genius Bars,” most companies today run virtual help desks, either instead of or alongside of physical desks. If you chose answer “C” above, congratulations: You aced the quick quiz! Help desk software helps companies design their support sites and populate them with helpful content. 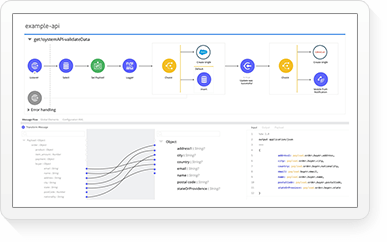 Integrated workflows can connect customers with the right service agents to resolve their problems. Automations within the software can also answer simple queries with preset answers. Support staff employees maintain the help desk and use it to communicate with customers via digital channels. Help desk systems can also record valuable user data employees can use to prioritize support requests, create helpful content for the site, and otherwise find new ways to serve their users. Ready to build your own virtual genius bar? Remember what we said at the top about today’s customers being large and in charge? That extends to how they ask for help. Consumers love self-service. Research shows that 90% of consumers now expect a brand or organization to offer a self-service customer support portal, and roughly three-quarters of consumers want the ability to solve product/service issues on their own. A good help desk solution will include solid self-service offerings. For as much as everybody’s always on their phones these days, many people don’t actually like to talk on the phone. Whether your help desk is external- or internal-facing, users should be able to log service tickets, check the status of their cases, and modify or close them as needed, all without having to speak to a service rep. When an agent is required to resolve more complex issues, you can offer text chat and email-based help through a self-service portal. Remember: Phone-based service, good. Making customers talk on their phones, not always so good. This is the self-help button. Go ahead, press it! How does a help desk work? Modern help desk support strategies are two-fold, combining people and technology. Your online help desk is the go-to place for your customers and employees to get answers to commonly asked questions. They can also use the help desk to log service requests — tickets — for problems that aren’t easily resolved. Your service teams are, of course, the key to offering great help desk support. From designing the help desk website and filling it with the right content, to helping customers in real-time, it’s the people that make customer support great. But the right help desk software can be a huge asset to any service organization, in terms of both helping customers find answers faster and helping your teams work more efficiently. Learn more about how help desks can benefit your entire organization. Help desks use tickets! What’s a ticket? The help desk on your website is usually the first place customers and employees go when they’re trying to solve a problem. Help desk software powers the site and directs customers to where they need to go. 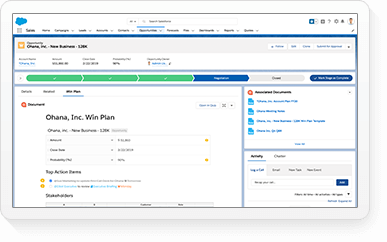 The software in turn helps employees organize, process, and resolve support issues through the use of support tickets. What are help desk tickets? A ticket — call it a help desk ticket, support ticket, incident ticket, or just plain ticket — is a record of a support request. In the context of a help desk system, though, they become the keys to unlocking efficiency and customer satisfaction. Tickets are issued and recorded electronically whenever a request comes in. The system then gathers all of the support requests into one central spot where they can be organized, reviewed, prioritized, and routed either manually or via automated workflows. 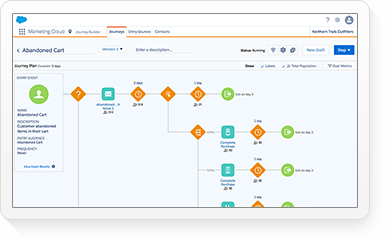 Automated workflows are a help desk’s best friend. Workflows can answer common questions with preset responses, and route more challenging queries to the right agents, freeing staff from routine tasks so they can focus on more complex ones. 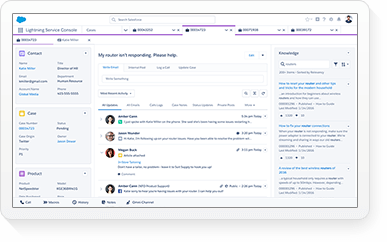 Help desk software also makes it much easier to field and respond to questions across multiple channels, which can be a huge asset to smaller teams supporting customers across Facebook, Twitter, and other social media. Seriously, have you ever been on social media? So many questions and witty comments out there! Couldn’t you use a little automation to make sure you’re replying to all the right posts? Ready to automate your problem solving? What are the awesome side benefits of help desks? Help desks offer a huge side benefit beyond, you know, helping people. They’re great at collecting valuable customer data. When customers or employees ask a question or search for an answer on your help desk site, the software keeps track of their queries. That data can then be shared across your entire organization, helping inform everything from service and support strategies to marketing campaigns and new product roadmaps. Integrating your help desk services with CRM unlocks a host of features to help your business succeed, including mapping support cases to individual customer records, logging those tickets as cases, and using that data to help create more personalized experiences for your customers. Automated logging and reporting of service activity ensures that each support ticket is worth its weight in actionable data. To that end, many help desk systems now offer analytics and customer satisfaction surveys (CSAT). 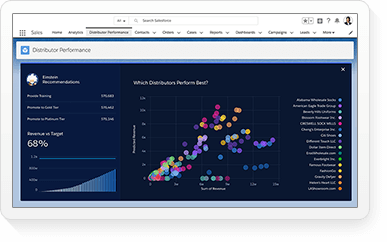 Analytics tools crunch the numbers for you, turning mountains of data into insights you can actually understand. 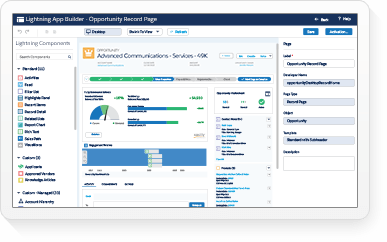 From intuitive, real-time alerts to visual presentation of key insights, help desk analytics can really pave the road from service to sales within your company. Hot Tip Alert: Customer Service is one of the most under-utilized competitive advantages. Guess what happens when unhappy customers feel like their complaints have really been heard? Believe it or not, many of them will become your biggest — and loudest — fans. See how much more a help desk can help you. Why is a help desk so important (beyond the helping people part)? Everybody needs a little help sometimes. Even you. And us. Whether yours is a small business with a single, centralized desk, or a large enterprise with a multiple desks supporting different parts of the business, a help desk is a critical part of maintaining good customer relations and employee happiness. Help desks serve as the nerve center for customer support, and a smoothly running help desk can both increase customer satisfaction and supply the rest of your business with valuable insights on what users really think of your brand and products. Get yourself a help desk - it’s important! How can help desk support unlock customer satisfaction? A satisfied customer is a happy customer, and a customer happiness breeds customer loyalty. Even the best products on the market require support, and responsive, user-friendly help desks are at the heart of customer satisfaction. So, what’s a business to do? Answer questions! Satisfy customers! And do it quickly. Answering questions quickly and accurately is a proven way to grow customer happiness. When customers know that you stand by your offerings — whether through support and service of existing products, or improving the quality of new product lines — they’re more likely to generate repeat business and recommend you to their friends and networks. Internal help desks serve the same functions for your employees. When it comes to the IT services that keep your business humming, employees are your customers. Efficient, reliable, and user-friendly internal help desk support improves the daily quality of your staff’s work lives while also building long-term satisfaction amongst employees. That’s no small thing when it comes to retaining talent. 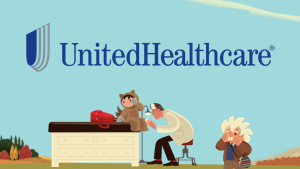 Unlock customer satisfaction? Yes, please! Help desk support can drive internal efficiencies, too? Good help desk software helps your support team prioritize and assign support requests, so every member of the team knows what to focus on, and accountability is built into your culture. The system also records case histories, making it easy to differentiate between one-off issues and recurring problems that need deeper attention, or are easily resolved using a previous fix easily retrieved by anyone on your team. Time tracking is another efficiency-boosting feature of modern help desk software. Keeping tabs on how long different issues take to resolve gives you a high-level view of where your IT support budget is being spent, which is helpful for planning and forecasting. Seeing how quickly each of your support agents and technicians typically solve different types of problems can also help you play to their strengths by routing incoming tickets according to who’s most efficient at particular types of support work. At year’s end, you can easily run reports to show how much time the help desk spent keeping your customers and employees moving forward. *Which leads to 4. Budgeting, 5. Forecasting, and 6 Reporting. Efficiencies, woot woot! Who doesn’t want to drive internal efficiencies??? Are help desk jobs in demand? With all of the benefits that help desks can bring to businesses of all types and sizes, it comes as no surprise that skilled help desk staff is in demand. According to the Service Desk Institute, 36% of service desks planned to increase their staffing levels in 2018. The United States Bureau of Labor projects some 88,500 new support specialist jobs will be created between 2016-26. That’s a growth rate of 11%, which is well above the national average of 7% growth across all occupations tracked by the bureau. Technology may make the world go round, but it’s talent that spells the difference between a business and a successful business. Your help desk is no different. In fact, the average service desk spends 68.5% of its budget on staffing costs and only 9.3% on technology, per MetricNet. From the people designing and implementing your support software to the agents who resolve service tickets, there are a number of key roles to be filled in any help desk team. Build a help desk and the workforce will beat a path to your door. What kinds of jobs are there on a help desk? Help desk jobs range from entry-level technical associates to executives in charge of budget, management, and strategy for multiple desks in enterprise environments. While there aren’t any hard and fast educational requirements for landing a help desk job, many employers look for a Bachelor’s Degree (BA/BS) or even Master of Business Administration (MBA) as a minimum benchmark for certain positions. Professional certifications on specific technologies, or knowledge and role-based certifications like those offered by the Help Desk Institute (HDI), may be sought after by recruiters and hiring managers, as well. Help desk jobs focused on customer support (external-facing) may fall under the umbrella of “Customer Support,” “Customer Experience,” or the like, instead of Help Desk. Small businesses often combine multiple help desk roles into a single position, owing to the “everybody wears multiple hats” nature of working at a smaller company. See how easy it is to deliver awesome customer support. 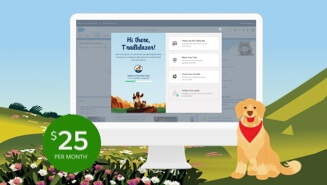 How can small teams can deliver outstanding customer support with Salesforce Essentials? 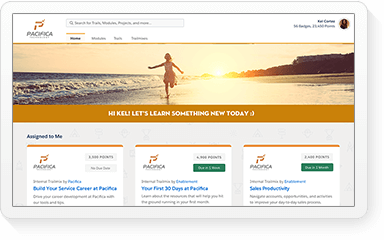 Salesforce Essentials is a great way for small and medium size businesses (SMBs) to build out a full-featured help desk with minimal resources or upfront investment. 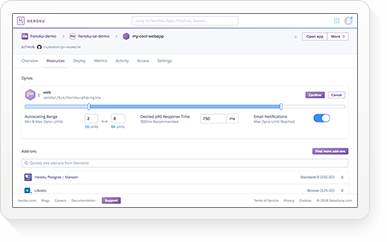 Service Essentials lets you automatically connect multiple support channels, organize and view all support cases on any device, and leverage built-in automation to increase response time and efficiencies. 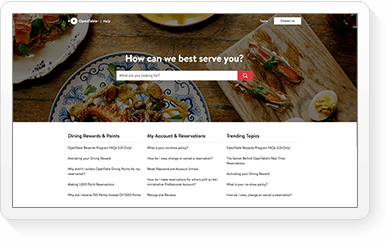 And the integrated FAQ and knowledge base functionality make it easy to set up a branded self-service site to help customers solve issues on their own. WIth Essentials, you get all the ease of use, security, and scalability of the Salesforce platform. A setup assistant and in-app tutorials will have you up and running in minutes, and Trailhead offers a free, self-paced learning on everything the platform has to offer. As your business grows, Essentials is ready to grow with you, through prebuilt apps, no-code customization tools, and automatic product updates delivered three times a year. Meet the help desk app for small business. *USD/user/month (billed annually). This edition requires an annual contract. Monthly pricing available. 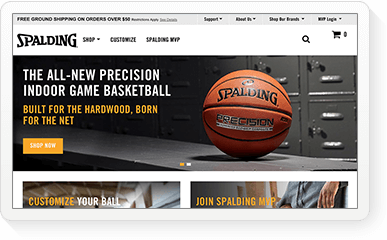 now expect a brand or organization to offer a self-service customer support portal. Roughly three-quarters of consumers want the ability to solve issues on their own. 1. Your customers have a lot of questions. 2. You can’t answer them fast enough. 3. You’re actually not sure who should be answering them. 4. Where are the answers, anyway? 5. Good News: More customers! Bad News: More questions. 6. You keep thinking how great it would be to organize and automate how customer questions turn into helpful answers. Want to get a help desk fast? Start for free. Customer Service is one of the most under-utilized competitive advantages. 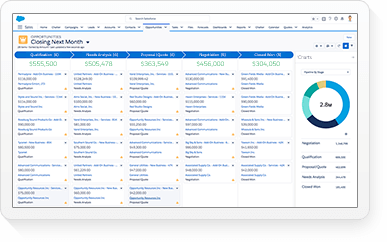 Meet Salesforce Essentials, the world's #1 CRM made for small business. Meet sales and customer support for just $25 per month*.